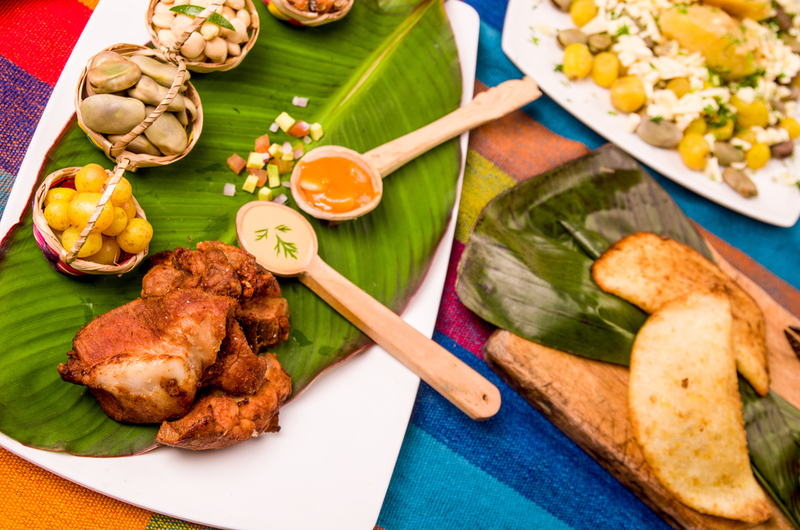 Ecuadorian cuisine is diverse and regional. 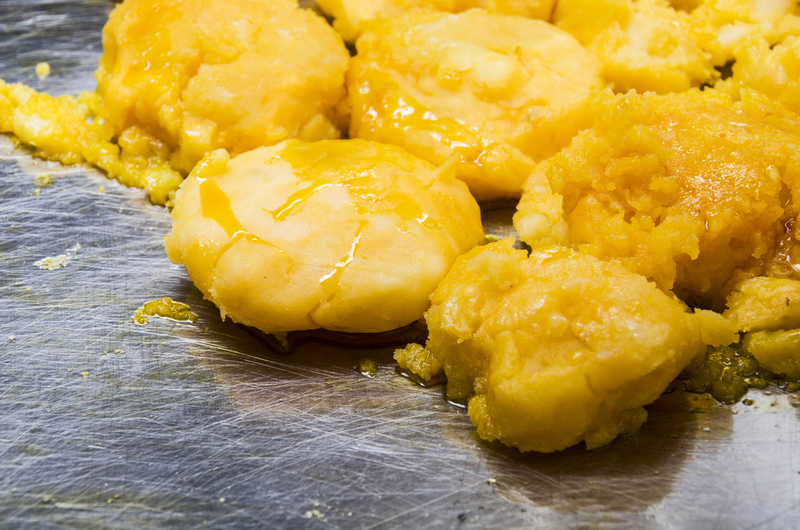 The potato plays an important role in many Ecuadorian dishes, especially in the Andes and there are over 200 varieties of potato found in Ecuador. 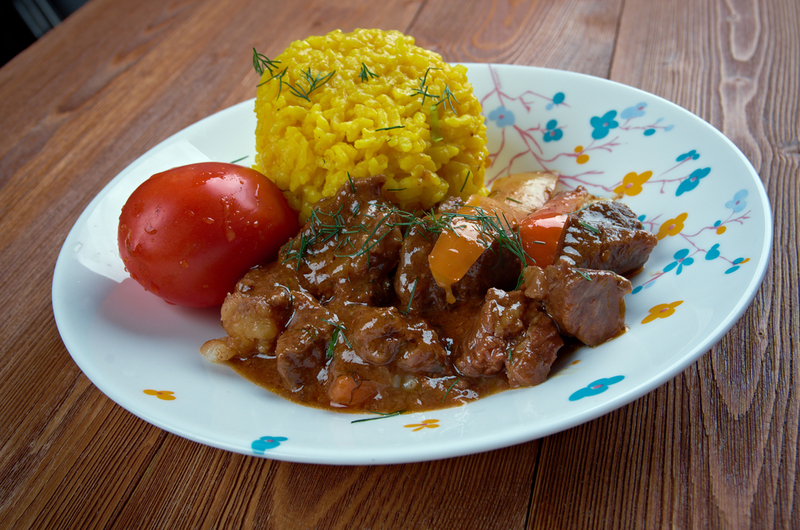 In the mountainous areas, meat (beef, pork, chicken and guinea pig) is served with rice, corn and potatoes. 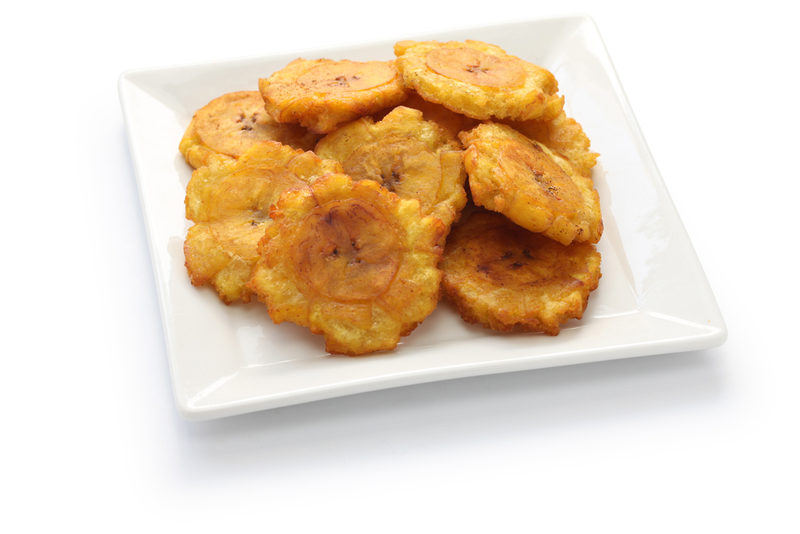 In the southern mountainous regions, a typical dish is a soup prepared from green bananas and roasted pork. 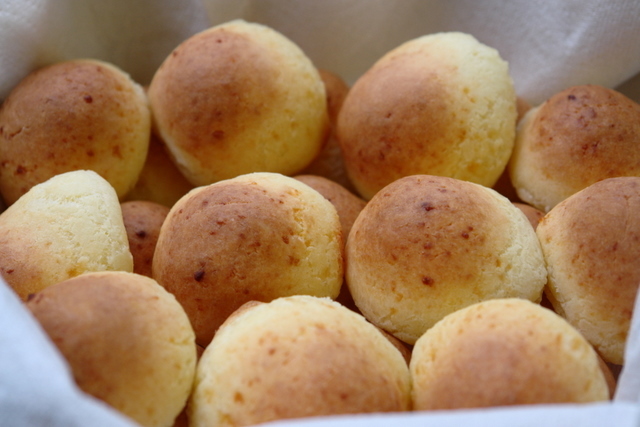 In the Amazon the dietary staple is the yucca or cassava, a starchy root vegetable that is peeled and then boiled or fried and used in a variety of dishes. In coastal regions shellfish, shrimp and various types of fish are important ingredients for many dishes. Ceviche is one of the most popular dishes, consisting of seafood, onions and coriander marinated in lemon or lime juice. A typical lunch (almuerza) consists of soup and then chunks of grilled meat served on rice and accompanied by a pulse-based sauce and fried plantain. 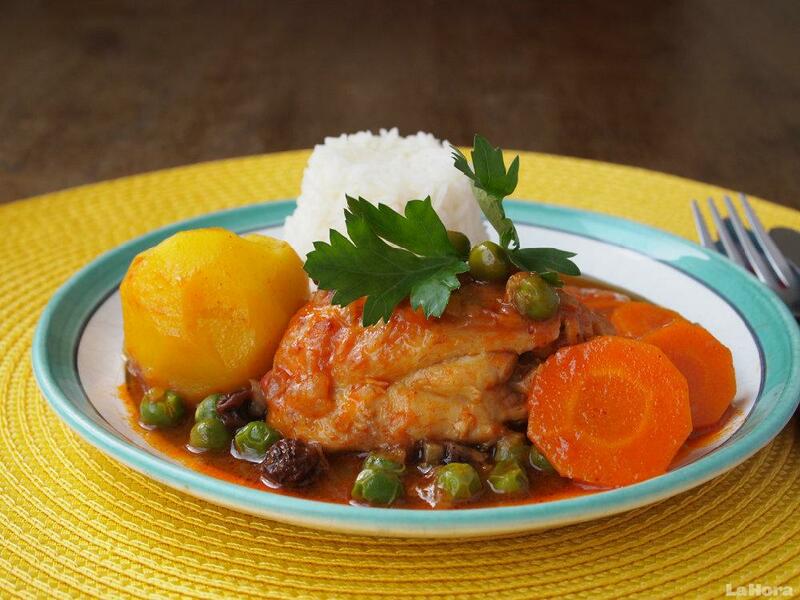 Rice and beans are common accompaniments to most meals. Beans are usually cooked as a traditional bean stew (menestra), with lentils sometimes used instead. Meats include lomo (beef) and chancho (pork), served a la parilla or asada (grilled). The most popular national alcohol is aguardiente, a spirit made from sugar cane. 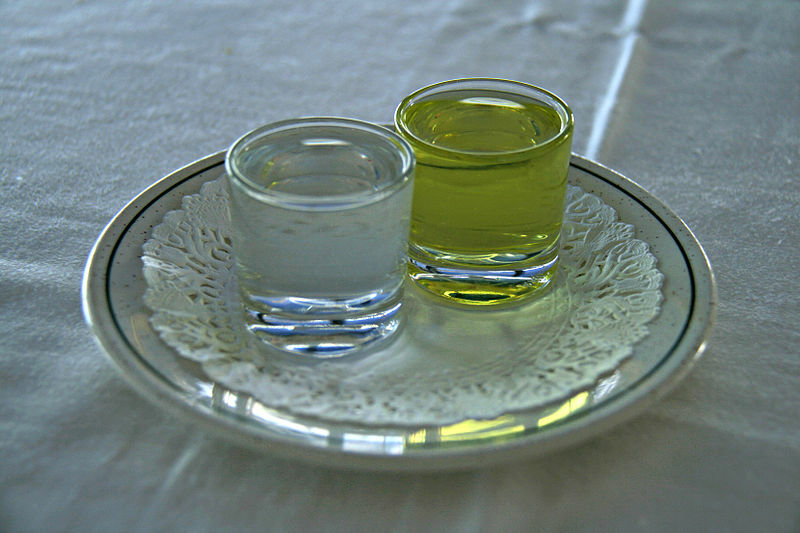 Canelazo is a drink that is made using aguardiente. Freshly squeezed juices are also common throughout Ecuador. 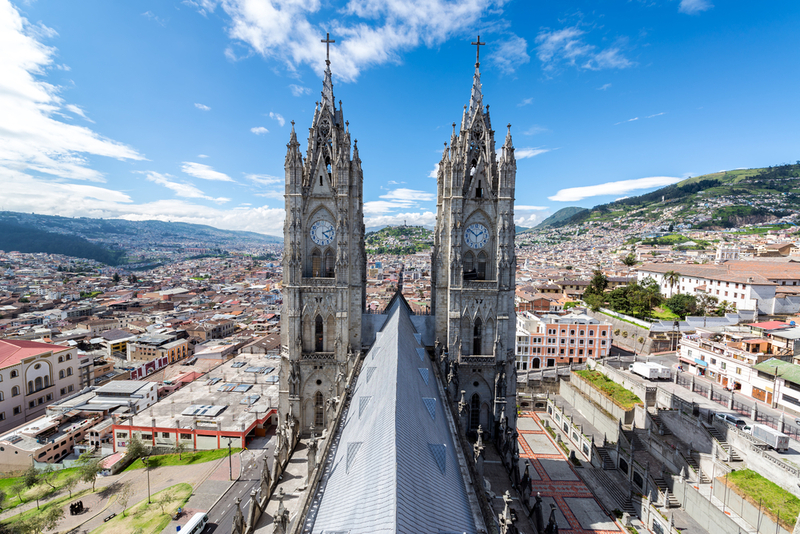 Despite its small size, Ecuador overflows with highlights that range from historic colonial centre, lively markets and gastronomic delights. Discover the wonders yourself! Chimu Adventures offers bespoke itineraries to Ecuador or let us create a tailor-made multi-country adventure to Latin America. Click here to contact us.